The Thermotex Pet Bed is an Infrared therapeutic pet bed that offers the ultimate in effectiveness and comfort for your small pet. Designed with Velcro opening for easy heat panel removal so that you can wash the complete bed, the Thermotex pet beds offer great versatility. Help your pet cope with pain from old age, arthritis, and other conditions. How Can The Thermotex Pet Bed Work For My Pet? Through the absorption of infrared thermal energy, your pets body tissues are safely and gently heated increasing blood flow. Your pets natural response to this increased temperature is for it’s body to try to maintain a condition of homeostasis—a balanced environment or state of equilibrium throughout the body. To do this, its body responds with a rapid increase in blood flow to the area. 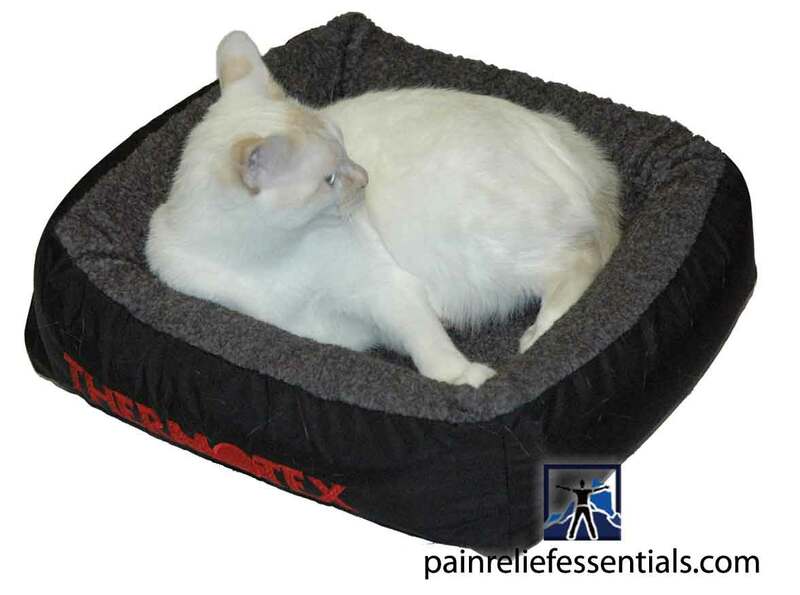 Thermotex™ infrared therapy pet beds cost about 7 cents a day to operate for 24 hours. They have a machine washable removable lining for easy cleaning. The Thermotex infrared therapeutic pet pad is thermostatically controlled and designed so that it will never overheat. Read more about how infrared therapy works. Lowest Price and Free DHL Air Shipping. 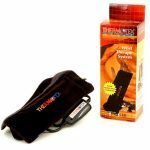 Because we have this product shipped to you directly from the manufacturer, we are able to save on inventory costs and offer the lowest price available that includes shipping shipping. The hood is shipped to you direct from Alberta, Canada, by DHL Air. For delivery in the United States your package will normally arrive within 2 to 3 business days. For pets up to 12 lbs. 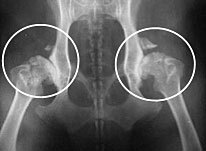 This x-ray shows severe hip arthritis in a dog. 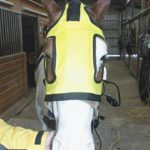 This degenerative joint disease causes pain and suffering for the animal. 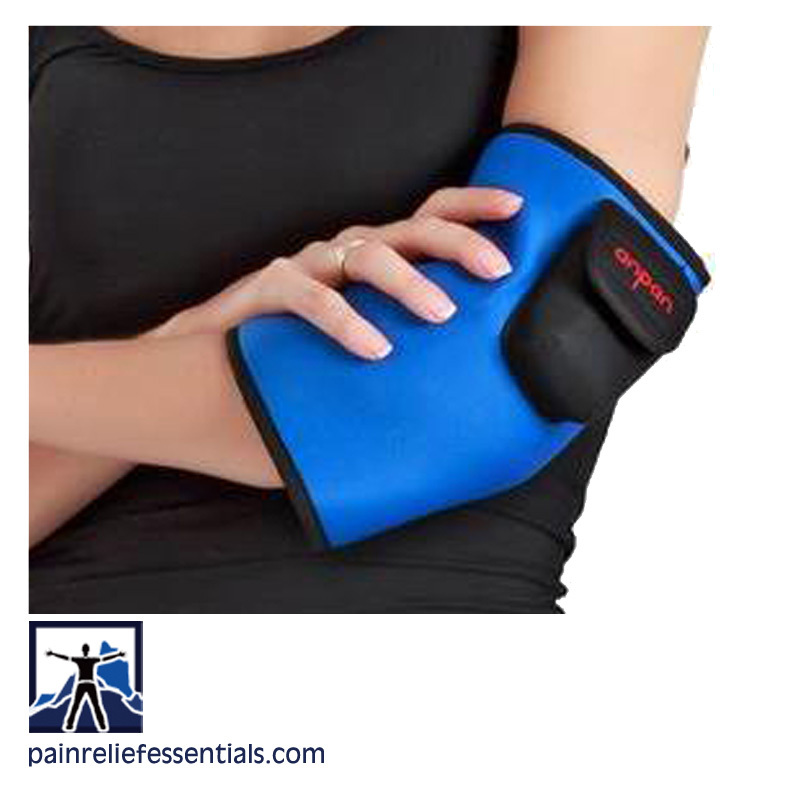 Thermotex infrared therapy beds promote blood flow which reduces inflammation and delivers an analgesic effect for the arthritic joints. Sorry, the Thermotex pet bed is not eligible for discount coupons. NOTE: For hygienic and health reasons used Thermotex pet beds are not returnable. 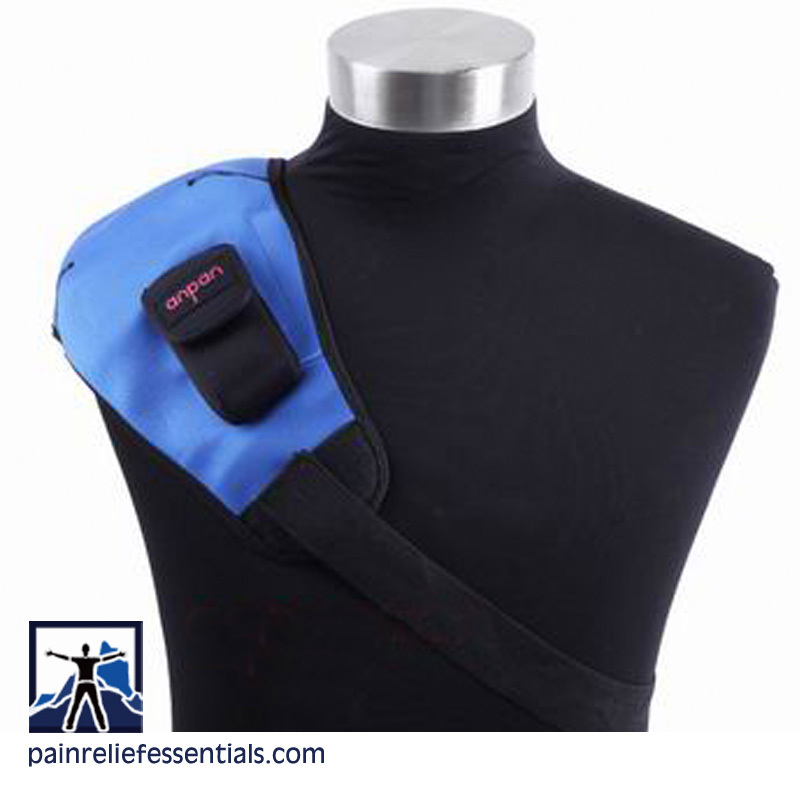 Thermotex products are cleared for sale by the FDA.